Three wineries have been destroyed by fire – but two bounced back to remain in business. St. Hubertus Estate Winery in East Kelowna was destroyed during the 2003 forest fires but, since most of the wines were already bottled and stored in a nearby warehouse, sales resumed within a week while a new winery was built. Granite Creek Estate Winery in Tappen was destroyed early in 2013. While the winery continued to sell wines for a time – a stock was in the nearby tasting room – the winery has since become dormant. 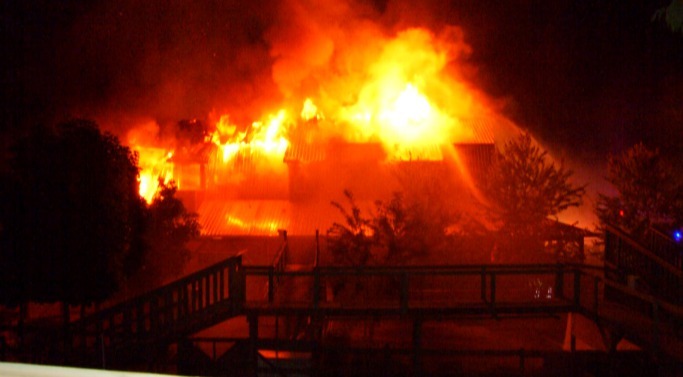 In July 2014, Maan Farms Estate Winery at Abbotsford was the victim of arson (still not resolved) that broke out about 1 am. But within two days, Maan Farms was selling blueberries and managing a U-pick operation from a tent. Since then, a new building has been erected, housing not only a winery and a tasting room but also a fruit market and a country kitchen. His grandfather, who emigrated to Canada from India in the early 1970s, began farming in the Fraser Valley in 1977. The family now farms about 80 acres close to Abbotsford, growing a significant variety of fruits and vegetables. The fruit wines in the Maan tasting room all are made with berries grown by the family. The winery also was developed to add value to the berries produced by the farm. The winery was established in 2012 but did little marketing beyond its wine shop until after the fire. In the past year, however, Maan has began placings its fruit wines in private wine stores in the Fraser Valley. The winery also has begun selling at farmers’ markets. The winery made just 400 cases last year but, in response to the good reception for the wines, will double that this year. The winery has relied on consultant winemakers so far. The current winemaker is Laurent Lafuente, a French-trained winemaker and distiller who has worked in the Okanagan and on Vancouver Island. The table wines from fruit are full-bodied (no water is added) and dry, made to accompany food. Demand from customers also had led Maan Farms to add red tables wines from grapes to its portfolio. Made in small volumes with 2013 grapes from the south Okanagan, these wines have only recently become available in the Maan wine shop. The positive reception to these wines has the winery considering the production of both red and white grape wines in 2016. Here are notes on currently available wines. Raspberry and strawberry-raspberry table wines are sold out will soon return to the portfolio. Maan Farms Blackberry NV ($22). The wine has a deep hue with fruity berry aromas and flavours. With good weight, an elegant texture and a dry finish, it recalls a Beaujolais. 88. Maan Farms Blueberry NV ($22). In keep with the grape analogy, think Merlot with this rich and full-bodied wine. The blueberry aromas jump from the glass. The texture is smooth with a hint of tannin and with a dry finish. 89. Maan Farms Maan Trois 2013 ($29.95). This is a Bordeaux blend with 33% each of Merlot, Cabernet Sauvignon and Cabernet Franc. It begins with aromas of cassis and oak. On the palate black cherry and blackberry flavours mingle with hints of oak. The wine has long, silky tannins. 90. Maan Farms Merlot 2013 ($20). A juicy unoaked Merlot, the wine begins with aromas of blueberry jam, leading to flavours of blueberry and cherry. Again the tannins are silky. 88. Maan Farms Cabernet Sauvignon 2013 ($20). This has aromas of cassis and flavours of black currant and cherry. The tannins give this a firm texture, suggesting the wine should age a few more years. 87. Maan Farms Cabernet Franc 2013 ($20). Dark in colour, this is a rich and juicy wine with lively brambleberry aromas and flavours, along with flavours of black raspberry and cherry. 90. Maan Farms Raspberry Dessert Wine ($26.45 for 375 ml). Fortified to 17%, this wine’s berry aromas and flavours explode from the glass. Full-bodied and palate-coating, the wine is well-balanced and not overly sweet. 90. Maan Farms Blueberry Dessert Wine ($26.45 for 375 ml). Generous and full-bodied, this fortified wine has spicy berry flavours and a deep colour. 89. Maan Farms Blackberry Dessert Wine ($26.45 for 375 ml). Also fortified to 17%, this is a soft and jammy berry wine with a Port-like richness. 88. Maan Farms Strawberry Dessert Wine ($26.45 for 375 ml). Bronze in colour, this is unmistakably strawberry in its dramatic aromas and rich, unctuous flavours that last and last. 90. First, there was the Mondavi family in wine. Now there is the Triggs family. Okay, that may be pushing it but you get the point. Donald Triggs, who once ran Vincor, the world’s 14th largest winery, is now making an impact in the Okanagan with his Culmina Family Estate Winery. Jenn is his cousin. She launched her Phasion Estate Winery two years ago with a much smaller production which was very carefully allocated to wine stores in Calgary and in the Okanagan. Not as well-heeled as cousin Don, she works with a custom crush winery. A tasting room is a few years away. But she is as passionate about wine as her cousin. The wine industry can never get enough of that Triggs passion. She asked her cousin for advice on getting into the wine industry. Since she is not a winemaker, he suggested she arrange to have her first vintages made at Alan Dickinson’s Alto Wine Group (now Synchromesh) where several small producers were being nurtured. There she worked with winemaker Mark Simpson and she moved with him when Mark opened BC Wine Studio near Okanagan Falls. Here, he produces wines under his own Siren’s Call label, as well as wines for several clients, including Phasion. The name of Jenn’s is actually pronounced fashion. While that is a bit of a play on the pH of wines, it really reflects Jenn’s interest in the arts as expressed in fashion and fashion accessories. The names of her wines are influenced by the interest in fashion. “I launched July 1, 2013 with wines from 2011,” Jenn says. “My first releases were the 2011 Haute Couture, the Bordeaux blend, and my Tres Chic Chardonnay.” She has since added a second Bordeaux blend called Glitterati. She is about to release a Pinot Gris; the name has not been revealed yet. She was still living in Calgary at the time of the first releases, and placed the wines in the Calgary market. 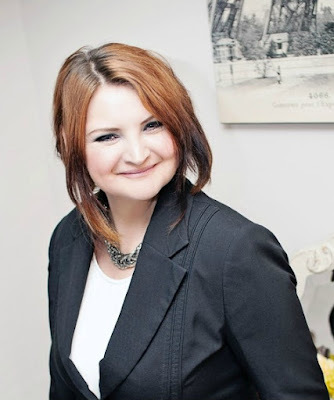 She moved to the Okanagan last year and looks after sales in British Columbia. Jenn moved to the Okanagan as part of a total commitment to her new wine career. She is immersed in a three-month viticulture program at Okanagan College. She is likely to enrol in the winemaking program in the future but her current priority is to learn about vineyards. The wines in her current portfolio are all made with South Okanagan grapes. One would expect that to continue because the Bordeaux blends will develop a following. Phasion Estates Tres Chic 2013 ($22.99 for 250 cases). This is 100% Chardonnay aged in stainless steel, but so bold and ripe that it could be taken for a barrel-aged wine (it spent just a month in oak). The winery’s notes speak of aromas of “lemon meringue, melon, ginger ale and coconut.” I found the coconut dominated. On the palate, there are flavours of tangerine and papaya. The 14.6% alcohol results in a finish that is slightly hot. 87. Phasion Estates Haute Couture 2012 ($23.99 for 250 cases). This is a blend of 70% Merlot and 30% Cabernet Sauvignon, according to the winery’s technical sheet. The back label says there is also some Petit Verdot. The wine was aged 18 months in French oak (50% new). It begins with aromas of cassis, black cherry and vanilla. These are echoed on the palate, along with flavours of plum. The structure suggests the wine, which benefits from decanting, will continue to develop for another five years. 90. Phasion Estates Glitterati 2012 ($24.99 for 75 cases). This is a blend of 57% Merlot, 30% Cabernet Franc and 13% Malbec. The wine was aged 18 months in French oak. This wine is stunningly packaged in a bottle that absolutely does glitter. It takes a while for the nose to open; when it does, it shows the lovely perfume of the Malbec along with cassis. On the palate, there are flavours of plum, fig, black currant and chocolate. This is an elegant wine with the structure to develop for another five to seven years. 91. For the second consecutive year, wine agent Richard Massey of Massey Wines & Spirits organized a tasting at Edible Canada in Vancouver for wineries from Vancouver Island. It is a rare opportunity for these wineries, so long out of sight and out of mind, to penetrate the biggest wine market in British Columbia. To be sure, some have made considerable ground on their own. Often, their websites reveal their products already are listed in wine shops in Vancouver and in the interior. But usually, the products are just in a few stores and seldom in VQA stores. For reasons explained only by internal wine industry politics, many island wineries dropped out of VQA a decade or so ago, believing – rightly or wrongly - that the British Columbia Wine Institute was not doing much to promote island wines. The consequence? As I say, out of sight, out of mind. And that is a pity because the island (including Salt Spring and Pender Island) has had three good vintages in a row. As the notes below show, there are numerous interesting wines from the region. I spent close to five hours at the tasting and got around to all but three producers. Here are notes on the ground I covered. Some prices are tax included, some are tax excluded. Life is too short for me to harmonize pricing; and some producers do not even have prices on their websites. Why not? How do you expect to sell? Alderlea Vineyards was opened in 1998 by Roger and Nancy Dosman on a vineyard northeast of Duncan. Roger is renowned for precision of his viticulture and for his winemaking. He has been something of an elder statesman and mentor to some other Cowichan Valley producers. Alderlea Bacchus 2014 ($16.49). This has long been one of the island’s most reliable examples of good winemaking from this aromatic grape variety. The wine is crisp and refreshing, with aromas of herbs and lime and flavours of grapefruit. 88. Alderlea Clarinet 2012 ($19.49). Years ago, when Roger began releasing this full-bodied red, Maréchal Foch still had a poor reputation among consumers. So he gave the wine a proprietary name “because it tastes too good to be called Foch” in his famous quip. Think of a Claret with aromas and flavours of black cherry, plum and fig. 90. Averill Creek Vineyard is marking its 10th anniversary of opening this year. It is operated by Andy Johnston, a former doctor, and his spouse, Wendy. He calls Pinot Noir the winery’s raison d’ětre but he also grows other varieties well on his 40-acre south-facing slope. Averill Creek Pinot Grigio 2015 ($15 for 1,900 cases). This is a textbook example of the “Grigio” or Italian style of Pinot Gris. The wine is light and refreshing, with aromas and flavours of citrus, melons and apples. The finish is crisply dry. 90. Averill Creek Gewürztraminer 2014 ($18 for 538 cases). The wine has intense aromas of rose petals and spice. On the palate, there are flavours of grapefruit, lychee and melon. It is crisp and dry on the finish. 88. Averill Creek Pinot Noir 2011 ($22 for 475 cases). Extreme low cropping enable Andy to make one of the island’s better Pinot Noirs in the very cool 2011 vintage. This is a medium-bodied wine with aromas and flavours of cherries. It has silky tannins and an appealing touch of spice on the finish. 88. Averill Creek Foch Cab 2012 ($18 for 775 cases). The winery likes to call this Cowichan Claret, a useful description except that Canadian wineries no longer are permitted to use European terms. The wine is a blend of 60% Maréchal Foch, 15% each of Cabernet Foch and Cabernet Libre, and 10% Merlot. And the wine does recall Claret, with its aromas and flavours of blackberry, black cherry, black currant, with a touch of chocolate on the fruity finish. 89. Averill Creek Cowichan Black NV ($18 for 375 ml; 1,150 cases). This is a lusciously ripe and full-bodied expression of blackberries. The wine has a surprising 60 grams of residual sugar but, with good acidity and 18% alcohol, it is well-balanced. This is a wine for chocolate and a good cigar. 90. Blue Grouse Estate Winery & Vineyard was opened in 1993 by Hans Kiltz and his wife, Evangeline. When Hans, a former veterinarian, reach retirement age, the winery was put on the market. Four years ago it was purchased by Paul Brunner, a mining industry executive, and his wife, Cristina. Last year, they opened a dramatically designed winery and tasting room, turning this formerly low-key winery into a must-visit for wine tourists. Bailey Williamson, the winemaker, crafts solid wines from the estate vineyard and – for the winery’s Quill label – with purchased grapes. Blue Grouse Bacchus 2014 ($20 for 120 cases). This has been one of signature varieties at Blue Grouse. It is a crisp and tangy white with aromas and flavours of lime and grapefruit. 88. Blue Grouse Pinot Gris 2015 ($20). Fifteen percent of this wine was fermented in barrel to add a touch of complexity. The wine has aromas and flavours of pear, melon and apple. The juicy texture reflects the ripeness of the 2015 vintage. 89. Blue Grouse Quill Pinot Noir 2014 ($N/A). This is a firmly structured red with aromas and flavours of cherry and cranberry. 88. Blue Grouse Estate Pinot Noir 2014 ($24). The mature vines in the estate vineyard yield complex and intensely flavoured Pinot Noir, with aromas and flavours of cherry and raspberry. There is a spicy note on the finish. 90. Cherry Point Estate Winery was in 1994 the third winery to open in the Cowichan Valley, south of Duncan. Xavier and Maria Bonilla have operated the winery since 2009. Xavier is a native of Colombia. He benchmarks the style of Cherry Point wines – at least the reds – on Rioja wines he admires. Cherry Point Pinot Gris 2014 ($24). There is 10% Pinot Blanc in this blend, adding to structure and weight. Crisp and dry, the wine has aromas and flavours of apple and pear. 89. Cherry Point Ortega 2014 ($27.90). An aromatic wine with a light straw colour, this wine has flavours of citrus and apricot with a touch of spice on the finish. 90. Cherry Point Pinot Noir Reserve 2012 ($27.90). Boldly oaked (two years in barrel), this is very much in the Rioja style. Flavours of vanilla mingle with plum and cherry. If this tastes more like Tempranillo than Pinot Noir, that’s intentional. 88-90. Cherry Point Bête Noir Gran Riserva 2013 ($24). This is a blend of Agria and Zweigelt. The winery says this is “reminiscent of the Rioja region” – perhaps in the sense that it is dark and muscular, with flavours of black cherry, tobacco and dark chocolate. Cherry Point Cowichan Blackberry NV ($24 for 375 ml). Cherry Point was the winery that pioneered what was once called Blackberry Port. The berry flavours are ripe and luscious, with 18% alcohol to add substance and warmth. 88. Emandare Vineyard was not at the tasting. These notes are from a recent tasting done by owners Mike and Robin Nierychlo at Marquis Wine Cellars. Located near Duncan, Emandare opened just last summer after Mike and Robin took over a 6.5-acre producing vineyard and gave it much needed tender loving care. Emandare Siegerrebe Gewürztraminer 2014 ($23). This is 80% Siegerrebe, 20% Gewurz, fermented in stainless steel with wild yeast and left six months on the lees. The wine begins with herbal and spicy aromas, leading to flavours of lime and grapefruit. The finish is crisp and dry. 88. Emandare Sauvignon Blanc 2014 ($28 but sold out). This may be the island’s only Sauvignon Blanc; certainly at 14 years, it is the oldest block. It has aromas and flavours of lime, melon and herbs. A touch of residual sugar gives it a mellow texture. 88. Emandare Rose 2014 ($23 but sold out). This was a field blend of 55% Cabernet Libre, 26% Tempranillo, 13% Malbec and 6% Carménère. It is a robust and juicy rosé with notes of cherry and strawberry. 88. Emandare Maréchal Foch 2014 ($23). The bright berry flavours in this wine – cherry, blueberry and cranberry – recall more of a Loire red than the red hybrid one often gets with this grape. The wine was fermented with wild yeast partly in neutral French oak puncheons and partly in insulated food-grade bins. Twelve months aging in neutral French oak polished the tannins and the texture. 89. Emandare Pinot Noir 2014 ($N/A). This wine has not yet been released. The juice was fermented with wild yeast in 500 litre neutral French oak puncheons and aged a further 11 months in neutral French oak barrels. The wine is fresh and lively with aromas and flavours of cherries. The tannins are still evolving toward a silky texture. 88-90. 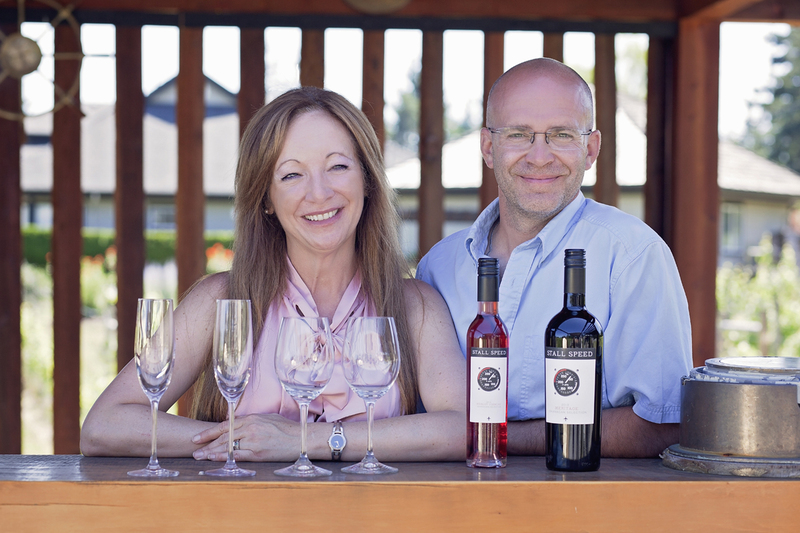 40 Knots Estate Winery at Comox has been owned since 2014 by two energetic former business couples, Brenda Hetman-Craig and her husband, Layne Robert Craig. The wines are made by Matt Dumayne, the chief winemaker at Okanagan Crush Pad. Matt’s talented hand shows in the excellent quality of the 2015 wines that 40 Knots showed in Vancouver. The 2015 vintage was one of the best on Vancouver Island, producing well-balanced grapes with tons of fruit flavours. 40 Knots Ziggy Siegerrebe 2015 ($19.90 for 211 cases). This crisp and refreshing white, with aromas and flavours of lime and grapefruit, is one of the best examples of this sometimes overly aromatic grape. This wine is well-balanced and dry, and not over the top. 90. 40 Knots Whitecaps 2015 ($18.90 for 888 cases). This is a blend of Pinot Gris, Gewürztraminer, Auxerrois, Siegerrebe and Chardonnay. The wine is juicy and refreshing, with aromas and flavours of melon and apples. 90. 40 Knots Uncloaked Chardonnay 2015 ($18.90 for 133 cases). A very clean and fruit-focussed wine, this has flavours and aromas of apples and peaches. 90. 40 Knots Pinot Gris 2015 ($18.90 for 280 cases). Here is another crisp and refreshing white, with aromas and flavours of pear, apples and melons. It has good weight on the palate. 90. 40 Knots Ortega 2015 ($19.90 for 133 cases). Very slightly off-dry, this wine has notes of honey and flavours of ripe honeydew and mango. 90. 40 Knots L’Orange Schönburger 2015 ($29.90 for 590 bottles). The bronze hue of this “out of the box” wine comes from fermenting the grape, a white variety, on the skins. The wine also was aged on the skins, picking up colour and tannin. The wine is rather exotic with aromas of bay leaf and cumin and flavours of nuts and nutmeg. 88-90. 40 Knots Rosé 2014 ($18.90). The winery made 278 cases in 2015 but still was pouring the previous vintage. Made with Gamay and Pinot Noir, it is a refreshing wine with aromas and flavours of cherry and strawberry. 88. 40 Knots Stall Speed Leading Edge Viognier 2015 ($N/A). Stall Speed is the winery’s designation for wines made from purchased fruit. This is a classic Viognier with aromas and flavours of apricot around a firm backbone of minerals and tannins. 89. Garry Oaks Winery on Salt Spring Island was opened in 2003 by Elaine Kozak and Marcel Mercier. Marcel, who is an environmental scientist, manages the vineyard while Elaine, a former economist, makes the wines. Garry Oaks Gewürztraminer 2014 ($25). 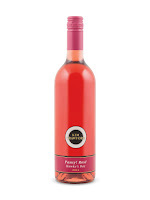 This is a dry, food-friendly wine with rose petal and spice aromas and flavours of grapefruit. The wine is medium-bodied with a lingering spicy finish. 88-90. Garry Oaks Pinot Gris 2014 ($25). Full on the palate, this wine’s minerality adds to its heft on the palate. There are aromas and flavours of melon, pear and apple with a hint of spice on the dry and lingering finish. 89. Garry Oaks Zweigelt 2014 ($27). This is a delicious full-bodied red with aromas of red fruits and pepper. On the palate, there are flavours of black cherry, mulberry and fig with pepper on the finish. 90. Salt Spring Vineyards has been operated since 2002 by Joanne and Devlin McIntyre. Both are doctors who moved the Salt Spring Island to pursue a love of sailing as well as a love of wine. Paul Troop, their winemaker, also owns a vine nursery on the island. Salt Spring Vineyards Karma 2012 ($25.99). This is a traditional method sparkling wine made with Pinot Noir and Chardonnay, with two years on the lees. The wine has a creamy texture, with toasty aromas and fruity flavours. 88. Salt Spring Vineyards Pinot Gris 2014 ($14.99). About half of this is barrel-fermented for additional complexity. It has aromas and flavours of pear and apple. 88. Salt Spring Vineyards Evolution White 2014 ($17.39). This is a blend of Petit Milo and Epicure, white varieties developed by Swiss plant breeder Valentin Blattner. It is a crisp and refreshing white with notes of green apple, melon and pear. 89. Salt Spring Vineyards Millotage 2014 ($17.39). This is a blend of Foch and Pinot Noir. Just four months aging in oak enhanced the structure of the wine but left its lovely cherry flavours and aromas in the central role here. 88. Salt Spring Vineyards Blackberry Dessert Wine ($15.99 for 375 ml). The wine fills the mouth with ripe blackberry flavours. The wine is medium-bodied with a lingering sweet berry flavour. 88. Sea Cider Farm & Ciderhouse is based on a Saanich Peninsula orchard of cider apples. Open since 2007, this is where Medicine Hat native Kristen Jordan applies the cider-making training she first acquired in Britain. Most of the ciders are packaged elegantly in 750 ml glass. Sea Cider Flagship ($N/A). This effervescent cider was fermented slowly with Champagne yeast to produce a crisply dry cider with tangy apple flavours. An added feature is that no sulphur has been added to this product. 88. Sea Cider Kings & Spies ($N/A). The cidery compares the style of this cider with 8% alcohol to frizzante Prosecco. Made with heritage apples, it has crisp apple aromas and flavours. A touch of apple juice was blended with the finished cider to balance the lively acidity. 88. Sea Cider Pippins ($N/A) This is a crisp, slightly effervescent cider with a refreshingly sharp bite and with intense flavours of apples and pineapple. 90. Sea Cider Bittersweet ($N/A) The Bittersweet apple is a staple for making English ciders. This sparkling cider is slightly off-dry with apple flavours recalling a very good slice of apple pie. 90. Sea Cider Bramble Bubbly ($N/A). This sparkling cider, with a vibrant pink hue, is a brilliant blend of apples and blackberries. It has luscious flavours – crisp apple modified by jammy blackberry. 90. Sea Cider Rumrunner ($N/A). This cider is gently effervescent. It gets its bronze hue and its rich flavours from having been aged six months in rum-soaked Bourbon barrels. The original product was aged in Screech barrels when those were available from Newfoundland. The cider is 12.5%, semi-dry and has flavours reminiscent of molasses and brown sugar. 91. Sea Star Vineyards & Winery. Two years ago, this winery replaced Morning Bay Vineyards on Pender Island. It is run by owner David Goudge and his winemaker, Ian Baker. Ian was formerly a partner at Mistaken Identity Winery on Salt Spring Island, one of the wineries missing from the recent Vancouver tasting. Sea Star has not released its 2015 wines although David was handing out a price list while we tasted the remaining 2014s. I reprint my reviews of these impressive wines from last spring while eagerly awaiting the 2015s. Sea Star Stella Maris 2014 ($19.15 for 338 cases). This is a blend of Gewürztraminer, Pinot Noir, Pinot Gris, Riesling, Ortega and Schönburger. The wine is aromatic, with herbal spice and aromas of pear and apricot. All of that is reflected on the palate. The wine dances lightly across the palate and finishes with persistent fruity flavours. 90. Sea Star Siegerrebe 2014 ($15.75 for 325 cases). This won gold at the recent Northwest Wine Summit. Aromas of honey, rose petals and grapefruit jump from the glass. The sweet fruit on the nose leads one to expect an off-dry wine. Big surprise: it is balanced toward dryness, with flavours of grapefruit. There is a hint of spice on the finish. The wine is so exquisitely balanced that the inherent grapey flavours of this variety are kept well in check. Siegerrebe can be cloying when sweet. Not this one; this is clean and refreshing. 92. Sea Star Ortega 2014 ($15.75 for 520 cases). A silver medalist at the Northwest Wine Summit, this wine begins with lovely tropical fruit aromas, including guava, grapefruit, and lime mingled with delicate spice. On the palate, it is a bowl of tropical fruit flavours along with crisp apple notes. The acidity is fresh; the wine is once again exquisitely balanced, with a refreshing and long-lasting finish. 92. Sea Star Blanc de Noir 2014 ($17.47 for 520 cases). This wine won a gold medal and was judged the best rosé at the recent Northwest Wine Summit. The Pinot Noir grapes for this rosé are from the Clam Bay vineyard. The wine presents with a delicate pink hue and with appealing aromas of strawberry and rhubarb. That fruit is echoed on the palate, where the wine is crisp and refreshing. The texture is luscious even though the wine is balanced toward dryness. 92. Sea Star Encore 2013 ($21.75 for 470 cases). This is a blend of Merlot, Cabernet Franc and Cabernet Sauvignon. It has been aged months in new and used French oak. The wine is still bright and youthful; I decanted the wine as recommended by the winery. It begins with aromas of red currants and noticeable oak. On the palate, there are flavours of black currant, prune, chocolate and liquorice. Because the oak has not finished marrying with the fruit, this wine will benefit from another year of bottle aging before being opened. (At the recent tasting, it was evident that the wine had developed while still have the structure to age several more years.) 90. Tod Creek Craft Cider is now in its second year of sales. The cidery, operated by Chris Schmidt, is on Prospect Lake Road near Victoria, in a renovated dairy barn. The surrounding pastures are destined to grow cider apple trees. Chris brings creative touches to his cedars. Tod Creek Tod Cider (Available in a four-pack of 473 ml cans). Tangy and lightly effervescent, this delivers refreshing aromas and flavours of apples. It is crisply dry on the finish. 88. Tod Creek Mala-Hop ($7 for 500 ml). Here is a cider for IPA lovers. The hops in the blend add a smoky bitter note to the apple flavours. 90. Tod Creek Coastal Blue (N/A). This was on tap at the tasting. This is a delicious cider with blueberry juice adding colour and flavour to compliment the apple flavours. 90. Venturi-Schulze Vineyards was opened in the Cowichan Valley in 1993 by Giordano Venturi and Marilyn Schulze, former teachers who opted for the wine grower’s lifestyle in 1988. The winery has a reputation for wines that are creative and original. Daughter Michelle has joined them in the business. Venturi-Schulze Primavera 2013 ($20.10). This is a blend of Schönburger, Ortega and Chasselas. As the proprietary name suggests, the wine has the freshness of a spring morning with hints of melon and a touch of sweetness. 90. Venturi-Schulze Long Shot 2013 ($25.10). This is a blend of Pinot Gris and Kerner. It is a crisply dry white with aromas and flavours of citrus and green melon with a hint of herbs. 90. Venturi-Schulze Cut-Cane Siegerrebe 2014 ($25.10). The name refers to the winery’s unusual production method. “The canes bearing the fruit, clipped to the trellis wires, were cut from the vine and the fruit was allowed to dehydrate and concentrate in the vineyard before harvest,” the winery explains. The result is an exotically aromatic wine with lime and grapefruit flavours. There are spicy herbs on the dry finish. A tour-de-force. 91. Venturi-Schulze Pinot Noir Three-O-Four 2014 ($28). . It is a concentrated but silky wine with strawberry and cherry aromas and flavours. 91. Venturi-Schulze Pinot Noir Reserve 2009 ($60.10). This is a bold and intense wine from a vintage hot enough to produce 14.9% alcohol. The wine was aged two years in Nevers oak. It has deep cherry and plum flavours with spice on the complex finish. 92. Vigneti Zanatta Winery the original Cowichan Valley winery, opening in 1992. The winery explains its history thus: “We are proud to hold the title of “First Family of Vancouver Island Wine.” Vigneti Zanatta is the result of serendipitous circumstance. When family patriarch, Dionisio (Dennis) Zanatta came to Canada in the 1950s from his home in Treviso, Italy, he did not intend to pioneer the burgeoning industry that has affirmed our region as Canada’s “Wine Islands” in recent years. Dennis was simply inclined to do what he loved, and, being Italian, that just happened to be making exceptional wine. After acquiring a working dairy farm in the Glenora region of Vancouver Island’s Cowichan Valley, Dennis was inspired by the similarities in climate between his new home and his old [to plant a vineyard].” The winery, now operated by his daughter, Loretta and her spouse, Jim Moody, specializes in sparkling wines. Vigneti Zanatta Fantasia Brut NV ($N/A). This wine is made in the traditional method but with Cayuga grapes, a white New York hybrid. The wine is aged on the lees for at least three years. The result is a creamy, toasty sparkler with apple flavours. 88. Vigneti Zanatta Brut Tradizionale 2009 ($N/A). This classy and elegant wine is made primarily with Pinot Noir with a minor volume of Chardonnay. Also made in the classic Champagne method, the wine is refreshing and crisp with hints of apple on the palate. 90. Vigneti Zanatta Damasco NV ($N/A). This is a light, dry and slightly aromatic blend of four white varieties. 88. There may be just one opportunity to taste an Okanagan red wine from a French variety called Marselan. A 2013 Marselan was produced by Montakarn Estate Winery near Oliver. The winery released it last year and still has some available. There is no 2014 nor 2015 and the odds against a 2016 Marselan are very long. The story that explains this is both interesting and complicated. 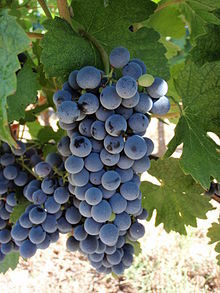 Marselan is a cross of Cabernet Sauvignon and Grenache, developed in 1961 by plant breeder Paul Truel at a research station near Montpellier in the south of France. The objective was to create a productive variety with large berries. The outcome was different, according to the entry in Wine Grapes, the definitive tome by Jancis Robinson and colleagues. “Marselan turned out to have small berries and was initially neglected because it did not offer the high yields prized then,” the authors write. It only entered the official register of varieties in 1990 when the variety’s quality and good disease resistance was recognized. By 2009, about 6,000 acres were being grown in France, mostly in the Languedoc and the southern Rhone. The variety also has a toehold in Spain, Argentina, Brazil and even China. A nursery in California also sells the vines. The Okanagan’s two-acre block of Marselan is in a vineyard on Black Sage Road owned and operated by Pierre Hebting. Hebting was born in Alsace in 1949 in a family that has had vineyards for about 300 years. He has an agriculture degree with a minor in silviculture. He emigrated to Canada in 1976 and, as he puts it, “wasted” 13 years in northern Quebec before learning about the Okanagan. He moved west in 1989, grew apples for two years and then leased a vineyard in East Kelowna for seven years. When that lease expired, he leased an apple orchard in Okanagan Falls while looking for an opportunity to get back to growing grapes. In 1993, he bought a 25-acre parcel on Black Sage Road, just south of Black Hills Estate Winery. He began planting it three years later. He imported most of the vines from Guillaume Nurseries, a major French nursery. He planted Merlot, Cabernet Franc, Cabernet Sauvignon, Pinot Noir and three Muscat varieties. He was also influenced by his friendship with Günter Lang, the founder of Lang Vineyards at Naramata, to plant Maréchal Foch. The variety produces well on the comparatively heavy Naramata Bench. Hebting found out it was a different story when the variety was planted on the Black Sage Bench. Foch does not thrive on dry, sandy soil. Hebting describes his site as having beach sand to a depth of 142 feet. Guillaume could not replace them because it had lost its export license to ship to Canada. Hebting took cuttings from his vines to fill in the two-acre block, which has survived since then. Then he discovered that Marselan was not on the list of grapes approved for producing VQA vines. Chaberton Estate Winery, for which Hebting grows grapes, blended the 2012 Marselan into a red blend. When Chaberton discovered the variety was not eligible for VQA, it had to refuse the bounteous five tons of Marselan that Hebting produced in 2013. Gary Misson, the owner of Montakarn, also purchased some of the fruit. While some of his wines go through the VQA process, it is not difficult for him to sell a non-VQA wine from his wine shop. He did not get any Marselan in 2014 when Chaberton resumed taking all of Hebting’s grapes. Chaberton does not appear to have plans to release a single varietal Marselan. That is not all holding Marselan back. Hebting has learned that the variety, if not managed well, will overproduce significantly, resulting in weakened vines unable to survive Okanagan winters. Hebting find he needs to remove about half of the potential crop before veraison (when the grapes turn colour in July). After several years of growing peaches and apricots, his wine interest kicked in. “I have been making wine for myself since I was 20,” he says. In 2009, he planted about three hectares (seven acres) of Merlot, Malbec, Syrah, Cabernet Franc and Chardonnay. Despite vine damage from the bitterly cold 2009 winter, Gary pressed ahead to make wines with consultants Philip Soo and then Daniel Bontorin. The winery’s initial release was close to 1,000 cases. Gary has been pouring his wines at industry events for at least a year. I first tasted the Marselan last spring at the British Columbia Wine Institute’s “Bloom” tasting in Vancouver. For reasons that had nothing to do with the wine, I never got around to researching the back story. I have done so now after discovering that this wine, along with other wines from the portfolio, remain in the market. Here are my notes. Montakarn Tippy Toe Oaked 2013 ($22). This is a Chardonnay/Sauvignon Blanc/Viognier blend. This is a richly textured wine with just the right amount of oak. The aromas and the flavours are full of tangerine and guava with a buttery note. 89. Montakarn Tippy Toe Unoaked 2014 ($20). This is 72% Chardonnay, 18% Sauvignon Blanc and 10% Viognier. It is an unusual blend that succeeds. It has a fruity aroma and flavours of peach, apple and citrus. The Viognier contributes to a spice in this crisp and refreshing white. 90. Montakarn Angel Share 2013 ($23). This is a blend of 67% Malbec, 21% Syrah and 12% Cabernet Franc. The wine begins with aromas of black cherry, going on to flavours of black cherry, chocolate and spice. The wine has long silky tannins and a lingering finish. 92. Montakarn Bella Nola 2013 ($22). This is a blend of 82% Merlot, 11% Cabernet Franc, 4% Syrah and 3% Malbec. The wine begins with aromas of cassis and vanilla. On the palate, there are flavours of black currant, vanilla and spice. 88-90. Montakarn Marselan 2013 ($28). This is 82% Marselan, 16% Syrah and 2% Cabernet Franc. The wine begins with aromas of black currant and blackberry, with a hint of cherry. On the palate, the cherry flavours dominate with a note of chocolate on the finish. The tannins are ripe but firm. 90. A personal hobbyhorse is the profligate use of the word “reserve” on wine labels. It suggests that quality of the wine is at least a little special. It strains credibility when a $10 or $12 wine is labelled reserve. So here is a tip of the hat to Heidi Noble, the proprietress and winemaker at JoieFarm Winery. When she labels a wine “En Famille” Reserve, you can count on it being special. The three reserve whites she released last month are impressive wines. In short, reserve means something at JoieFarm. I have heard one or two explanations for the “En Famille” appendage to the reserves. The one that sticks in my mind is that the winery wants its growers to feel that they are part of the JoieFarm family. Two of the three reserves are made with grapes from grower vineyards. It is an increasing common practice for wineries to acknowledge the growers it buys from. A winery that takes pride in its growers very likely had growers who go the extra mile to deliver quality fruit. The 2014 Viognier, which is offered in lieu of the 2013 Reserve Pinot Noir, is made with grapes from the Trout Creek Vineyard at Summerland. This property is leased and farmed by JoieFarm. The 2013 Gewürztraminer is made with grapes grown in JoieFarm’s estate vineyard on the Naramata Bench. JoieFarm “En Famille” Reserve Gewürztraminer 2013 ($27.90 for 208 cases). I agree with the winery’s comparing this stylistically to an Alsatian Grand Cru. The spicy lychee aromas jump from the glass. Rich on the palate, the wine has flavours of grapefruit and quince. The 15 grams of residual sugar is nicely balanced with natural acidity to finish comparatively dry. 91. JoieFarm “En Famille” Reserve Chardonnay 2013 ($29.90 for 300 cases). This wine was fermented in barrels and puncheons with a combination of wild and Champagne yeast. The wine also aged eight months in oak (mostly second-fill or neutral oak). The result is an elegant wine with aromas of citrus and flavours of tangerine, pineapple and vanilla. There is a touch of honey on an otherwise dry finish; and the fresh acidity adds a note of crispness. The wine is drinking well now but, in the style of Burgundy, it has the structure to develop even more complexity over the next five to seven years. 92. Two new labels from Oliver’s Stoneboat Vineyards brought to mind a rosé that New Zealand’s Kim Crawford Wines produces. The wine Pansy! Rosé. The back story is that the wine was initially targeted to the gay community. Pansy! Rose has quite a story behind its creation. It was initially created as a wine for the gay community by Kim and Erica Crawford. One evening a gay friend with an alter ego, drag show hostess Onya Knees, asked why no-one made wine that specifically targeted gays. A few weeks later Kim rang Erica to say he had come up with "something for the boys" blended from Hawke's Bay merlot, malbec and cabernet franc. A few days later the name "Pansy" came to Erica and a new wine was born. When the wine was first launched in 2005, the parties were in gay bars with all the glitz, glamour, feathers and theatricals that go with such events. Initially the wine's marketing targeted the gay community and it embraced the wine. It was launched in New Zealand and Australia - the Sydney gay wine market was estimated to be worth $4.5 million a month, which is a huge amount of money. The gay market is seen as being quite brand loyal and spend a lot of money on entertaining, so the wine was a bold and brilliant idea. The early Pansy! Rose vintage had 4 grams of residual sugar so it was bone dry. Kim then decided the sweetness needed to be increased for summer drinking and the following vintage weighed in at 12 grams and tasted rather sweet. Since those heady early days the wine has settled a little. Emphasis on the gay target market has disappeared (in all but name) and the wine boasts attractive Kim Crawford Reserve labelling. The amount of residual sugar in the wine has decreased to a more pleasing 7.9 grams and the wine's composition is now 63 per cent merlot and 37 per cent malbec. The re-launch is timely, with rose wines gaining in popularity and quality. This wine meets its aims perfectly - it's all about easy drinking and summer sipping. Lively and luscious, it really is lots of fun and while it may not be a serious wine drinker's rose, it still managed to nail a gold at the NZ International Wine Show in 2013. Not bad for a wine conceived over a few drinks and a random observation. That story immediately came to mind when two new wines were released last month by Stoneboat: Stone’d Red and Stone’d White. Clever Lanny Martiniuk, I thought. He and his family at Stoneboat have come up with the perfect for the stoners of British Columbia, the pot hotbed of Canada. Well, that is Lanny’s story and I suppose he will stick to it. But I think there is a better than even chance these wines will be popular with the owners and patrons of Vancouver’s pot dispensaries. And then, like Pansy!, they will appeal to a wider audience, both on price and quality, even if the weird labels don’t have quite the elegance of Kim Crawford. Stone’d White 2014 ($19). This tasted a lot like Stoneboat Chorus, one of my favourite blends from the Okanagan. That is no accident: its varietal composition is similar. This wine is a blend of 25% Pinot Blanc, 23% Müller-Thurgau, 22% Schönburger, 20% Kerner, 7% Pinot Gris and 3% Viognier. The wine begins with an appealing aroma of spice and tropical fruits, leading to flavours of melon, apple and Asian pear. There is an herbal touch on the crisp, refreshing finish. 90. Stone’d Red 2013 ($19). This is 58% Pinotage, 42% Pinot Noir, with 13 months in French and American oak barrels (10% of them new). The aroma is a medley of vanilla and black cherry with a smoky note. On the palate, it delivers flavours of black cherry, plum and strawberry with a note of spice. The texture is big and juicy. This is an eminently quaffable wine. 90.